1. 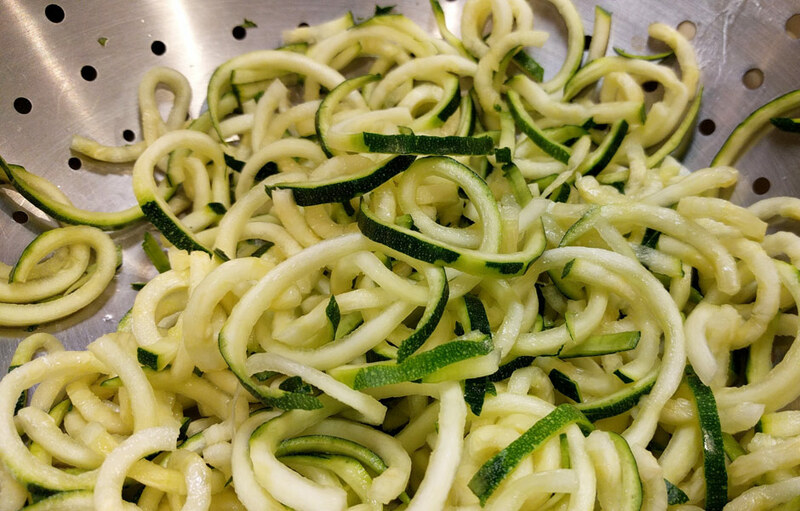 Prepare the courgetti using a spiralizer or cut into ribbons using a vegetable peeler. 2. Finely slice the chilli. 3. Zest or grate half of the lemon skin then squeeze 1 tbsp juice into a small bowl. 5. Pan fry chicken breast with olive or coconut oil until cooked through. Remove from the heat. Set aside on a small plate to rest. 6. Reheat the pan with 1tbsp of olive or coconut oil once hot toss the tenderstem broccoli for 1 minute, add the courgettes to the pan and continue to cook for another 2 minutes until al dente. Remove from the heat. 7. Add the chicken strips and the remaining ingredients to the broccoli and courgette, season with salt and black pepper. Toss gently to combine. 8. Separate into two serving bowls, sprinkle with chopped herbs and serve immediately.